The thought of parenting twins may seem daunting, especially if they are your first born. Certainly a bit more effort is required with raising twins than singletons. But, as most parents of twins will tell you, "You just do it"! Whether this is your first time as a parent, or you have older siblings involved, you will likely have questions about the nature of raising your twins. When they are infants you will probably wonder what to do about feeding and sleeping routines. As they start toddling around, you may question when to start potty training. When they approach the preschool years, thoughts of separate classrooms may enter your mind. And later still, you will perhaps worry about your twins' individuality and how they feel about eachother. We all want happy, healthy children, of course. It is normal to have reservations about your skills when faced with the unique situation of parenting twins. But, keep in mind, once you get through the first year you've likely got it down. And, if issues crop up, there are many wonderful resources available for parents of twins from conception to adulthood. Remember, parenting twins is not an exact science. It will involve lots of trial and error as well as your own instincts. And don't be afraid to talk to others who are raising twins for help and support! This may seem like a real no-brainer, but believe it or not, lots of moms and dads don't utilize this resource. There's lots of ways to connect with other parents if you know where to look. Often times there is a local community of twin parents right in your town (or close by), so be sure to ask around at your pediatrician's office, schools, etc. Another great way to find out if there are any clubs in your area is to visit the Multiples of America Website. You can also join our popular Facebook page where you can see what's going on with other parents of twins, ask questions, give and get advice, and generally see news about twins from all over the world. 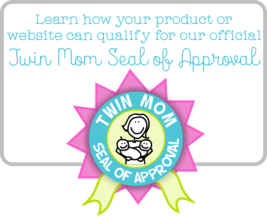 A fun way to connect with other parents of twins and one of the easiest ways to learn more about parenting. You can also visit our helpful Q And A page where you can post your questions about raising twins and get answers from other parents or add your own answers, comments and advice! Is a Twin Her Sister's Keeper? by Dara Lovitz addresses how twins may feel responsible for eachother. Abigail Pogrebin (a twin herself) and author of the book One and the Same. She gives essential twin parenting advice from a twin's point of view! Surely most of us have been bombarded with the usual questions about our twins....Something we have to get used to as parents. Typical questions: Are they identical? What do you do when they both cry? How do you get any rest? Do they always dress alike? This can be either irritating or amusing. Some parents have preconceived answers prepared, while others like to change it up a bit. Check out our Silly Twin Questions page to read and share more about this fun topic! You can head on over to That Fun First Year if you want to read about the basics of the first year with twins. 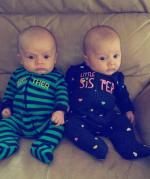 Read one mom's advice on Surviving Twins! Having a good reference book on hand will give many parents of twins peace of mind when they feel bewildered or overwhelmed. 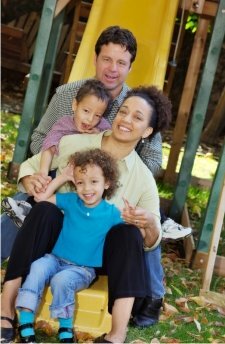 There are plenty to choose from in every price range that cover several aspects of twin parenting. Just check out amazon.com for an extensive selection that can be delivered right to your doorstep. Of course your pediatrician will be able to give you lots of valuable information on parenting twins, especially with multiple birth on the rise. These days, doctors have a lot more experience in this area than ever before. Read our helpful article on Choosing a Pediatrician for Twins. And of course, Au Pairs! Who knew life could be so much easier by hiring an affordable Au Pair for twins? Read about Twins And Individuality. 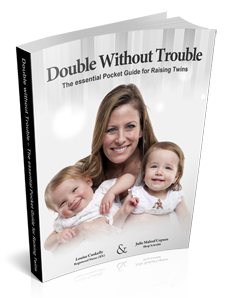 Grab the Complete Guide Every Mother Of Twins Must Have! 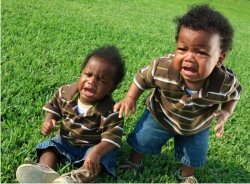 Info On How To Cope With Having Twins, Raise Happy, Healthy Babies And Stay Sane. The Most Frequently Asked Questions On Having Twins Answered By Expert Mothers Of Twins. Includes 3 Bonus Books. For $10 Now!! Take a look at some great articles written by Dads Of Twins about twin pregnancy and parenting tiwns.